At regal awnings we are the number one choice for creating truly bespoke and Custom Awnings. It is of utmost importance to ensure you are visible to your potential customers and that you show off an attractive and welcoming shop front, which is down to your shop blinds and custom awnings. Our Custom Awnings designs will be unique to your business and help you stand out from the crowd. A custom awning will be a great addition for your business. It will allow your customers to take shelter in all weather conditions and enjoy the additional space for socialising in your business space. 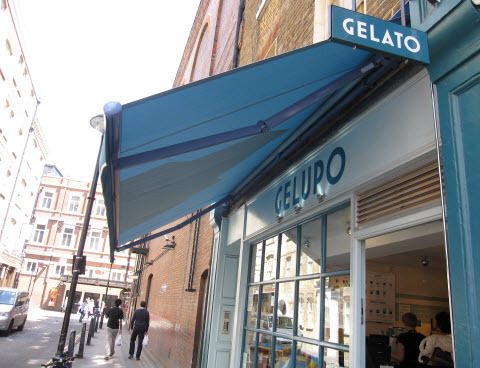 Our bespoke custom awning designs are only limited by your imagination. We can create virtually any design you require. We have a huge range of materials and colours available, allowing us to match your company colours, your logo and any additional writing that you require. Our team of fitters will ensure that your custom awning is fitted correctly and securely, quickly allowing your customers to enjoy the new additional space. Get in touch today to find out more information. If you’re looking for an Custom Awning in Essex, be sure to contact us, Our staff will be happy to help.